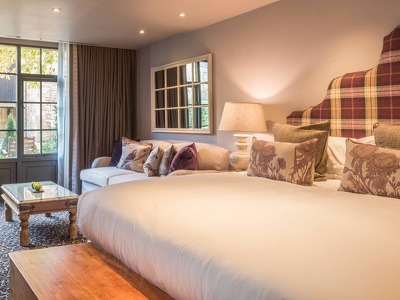 The Lygon Arms has been welcoming guests since the 14th-century and the suites and rooms are now filled with antiques and fine art against the back drop of original features, beams and open fireplaces. 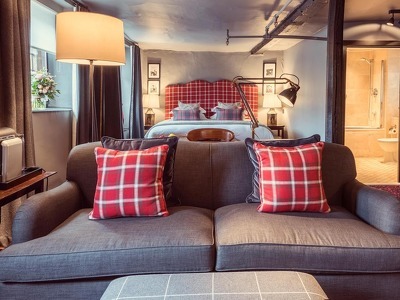 Recently refurbished these rooms combine history with modern luxury. Antiques and original paintings set a cosy scene against the backdrop of original features. Ideal for a short break. Perfect for individuals or couples wanting a short break away. 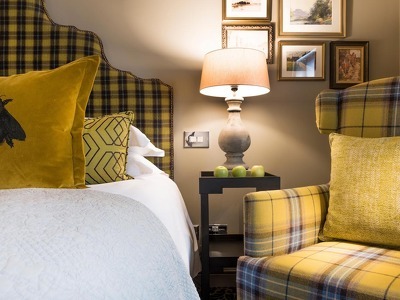 Furnished with antiques and design pieces by Gorgon Russell and decorated in luxury fabrics, these refurbished rooms are cosy and comfortable. These spacious rooms have recently been refurbished to an exceptional standard. Expect original paintings, period features and beautiful antiques. Some Deluxe Rooms also feature a private terrace. Junior Suites come with the option of a double sofa bed, making them ideal for a family break. Old fashioned glamour and modern style sit alongside Gordon Russell antiques, high wooden beams and fine art. Recently refurbished and just moments from The Spa, each ground floor room has a private landscaped terrace. These suites are open-plan and are located on the ground floor overlooking landscaped terraced gardens and courtyard with its majestic chestnut tree. Inspired by the hotel's illustrious past these rooms are all about luxury. Quiet and comfortable they feature a mix of original antiques and have large en-suite bathrooms with double basins and a walk-in shower. Each suite has a sofa bed making this ideal if you're wanting to bring children. For those wanting their children near but not in the same room, there are two separate interconnecting suites. These suites are steeped in the hotel's history. With a spacious sitting room furnished with comfy sofas, antiques and original paintings, these refurbished suites exude luxury. The spacious en-suite bathrooms have a large vanity area. 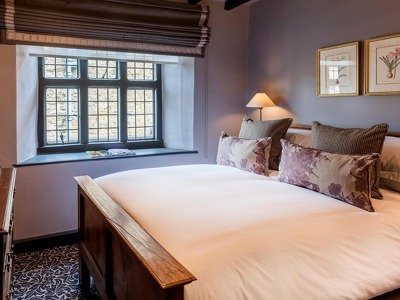 At The Lygon Arms Hotel in the Cotswolds, you can stay in the suite that Oliver Cromwell stayed in the night before the Battles of Worcester in 1651. 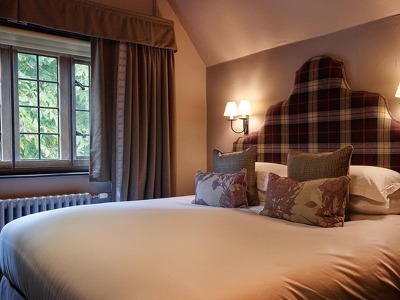 Dating back to the 1300's when it was known as The White Hart, this hotel is steeped in history and still has carvings and etchings dating back to the 1600's. You'll find The Lygon Arms on the High Street in Broadway. Families will love the kids menus and luxurious family rooms. For those looking for some relaxation and pampering The Lygon Arms Spa is an oasis of peace away from the hustle and bustle of Broadway. There's plenty to do in and around Broadway throughout the year including vintage car festivals, Christmas markets, events and art exhibitions. The spa town of Cheltenham isn't far away and has some great shops and restaurants. A stay at The Lygon Arms wouldn't be complete without a trip to the spa which is close to the three-acre private garden. This oasis of calm has therapies to treat the mind, body and spirit and the ILA spa treatments are some of the best around. The gym has state-of-the-art Technogym equipment and is fully air-conditioned. The Cocktail Bar serves delicious cocktails crafted from botanicals and is a great spot to enjoy pre-dinner or post-dinner drinks. They make a mean Bloody Mary and Lavender Negroni. If wine is more your thing then head to the Lygon Wine Bar, a relaxed affair and where you'll find a great selection of Italian and European wines by the glass, carafe or bottle. Italian bits and simple dishes are served from lunchtime. Children will love the seasonal kids' menus available at the Lygon Bar & Grill and The Wine Bar and during certain times of the year, there are themed Afternoon Teas for the little ones including Mad Hatters Tea Party and Teddy Bear Picnic. Relaxed, all-day dining takes place in The Lygon Bar & Grill where British produce and menu is celebrated using only the best local ingredients from surrounding farms, artisans, and Cotswold suppliers. Afternoon Tea is served in the Terrace restaurant or outside in the Courtyard - the fruit scones with clotted cream and puddings are a real treat and one to be savoured before you leave. Indulge & celebrate with a selection of seasonally themed afternoon teas throughout the year. 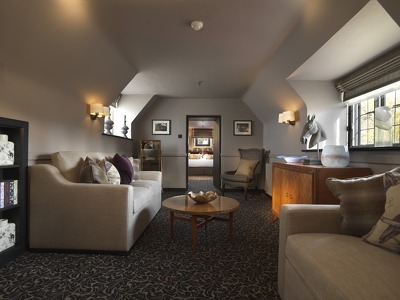 The Lygon Lounges are where you can unwind after a country walk. Open from 9.30am until late, enjoy a delicious selection of country bread sourdough sandwiches, gourmet burgers and brunches. We are delighted to welcome dogs to The Lygon Arms Hotel. From the moment your four legged friend is welcomed, we ensure they have a stay to remember. A supplementary charge of £25 per dog per stay applies. Dogs are welcome to stay in designated bedrooms and are allowed in public areas but not the dining rooms or the spa. Dogs are the full responsibility of their owners and should be well mannered and kept on a lead when in the public areas. Please use the sign in your room to make us aware that your dog is in the room. Our housekeeping team will not service your room if the dog is present and the room is otherwise unattended as we do not wish to disturb your dog while you are out of the room. If you love history - this is a perfect place to visit and relax in the multiple lounges. STUNNING! Wish I had stayed here. We had dinner here - the service was suburb and the staff were very accommodating. Our meal was a bit hit and miss but we still had an enjoyable evening. Stayed there for two nights on a deluxe room with a huge bed. Room was fantastic with the only complaint that it was hard to control the temperature in the room and the mood lighting was taken a little seriously. Breakfast was excellent with a wonderful eggs royale. Staff were very attentive and nothing was too much trouble. Beautiful place to stay! No doubt about that, absolutely stunning. Trying to contact them after to fix up an issue regarding parking infringement that was wrongfully issued (even though my vehicle was registered) was painfully difficult and took WAY too long! I never actually received a response from the Lygon Arms at all. Lovely hotel, actually one of the best. Homely warm feel. Staff a plenty and incredibly helpful and friendly. Real log fires everywhere in the winter months for that extra comfort. I love the smell of smoke that envelops an ancient building and it really adds to the atmosphere. Food is very good but not as good as it could be. Modern hotels are pushing out some top notch dishes these days and for the prices they charge it could be better but it was still good. Watch out for the service charges on drinks which really shouldn’t be added when a guest buys a drink in my view. Spa nice but the saunas were not working when we visited. Can get busy and not much seating around the pool area. Great experience all round though. Would definitely visit again and look forward to it. Loved all of it. Grounds amazing. Room beautiful. Food excellent and bars and seating areas warm and comfy. Try the cocktail bar. Would love to return. Its not cheap but great for a special occasion.